Congratulations to our Client Flip It Case for their feature on TODAY! It’s more than just a stick. No more carrying different gadgets to capture the perfect picture. Its compact size, removable Bluetooth® remote shutter, case with kickstand and fully built-in selfie stick, makes FLIP IT the perfect on the go companion. With FLIP IT you can easily transition from a selfie stick to a battery pack and various mounts which makes it perfect for everyday use. Separate the handle from the case, and use as a remote shutter. Take pictures up to 25 feet (8 meters) away using the kickstand! The built-in kickstand is also perfect for watching movies, video calls and so much more. The built-in robust steel telescopic selfie stick is great for those memorable pictures. 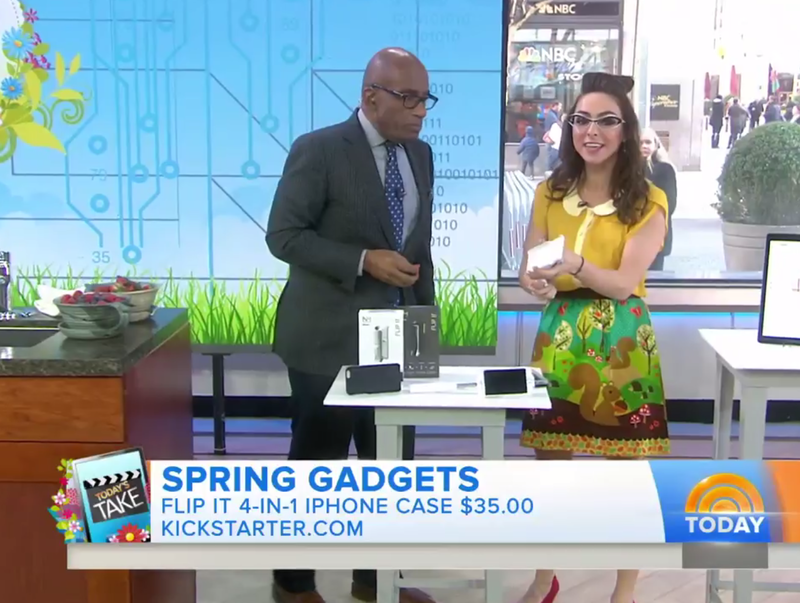 Get your Flip It Case now at Kickstarter!